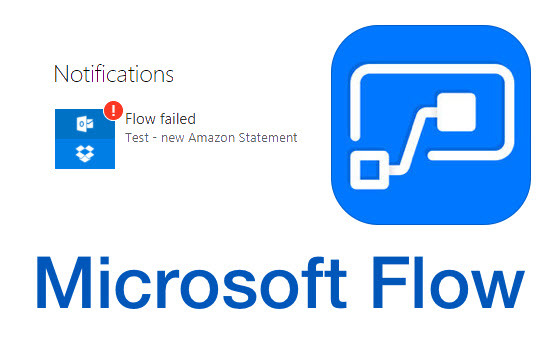 Debugging Microsoft Flows – Sometimes the flows you create will fail. You need to then figure out exactly where and why the flow you created failed. If you are familliar to debugging, you will know that sometimes a process will work flawlessly… the first time. Consequtive attempts fail because of erronous data, duplicate data or just something you didn’t think of catering for. When a Microsoft Flow fails, you will see a notification in the top menu. Go to your flow and you will see that there is a failed item in your Run History. Click on that failed item in the Run History to view the details. You will see the flow with red exclamation marks next to the failed actions or triggers. Drill down until you see the first error. In this case, we can see that there is a conflict when creating the file. In the top menu bar, click on the Edit button to modify your flow. Expand the Create file action and click in the File Name text box. In the Dynamic content section, you need need to insert an Expression. The expression we will be adding is a date. Add the utcNow() expression before the Attachments Name Dynamic content in the File Name text box. When you are done, your Flow will look as follows. Notice too that I have added a dash between the utcNow() expression and the Attachments Name dynamic content. After saving your Flow, go back to the error and click on the Resubmit button in the top menu bar. This will immediately trigger the workflow and the results will be displayed as it executes. In our example, it ran successfully. When you look at the file it created in the Dropbox folder, you will see that it has been prefixed with the date and time. This is also a nice idea to keep your statements in the correct order. As you can see, creating and editing Microsoft Flows is really easy. This automation software makes it really easy to debug issues and test your fixes.